Jamie started his career with Coventry City as a promising young striker, but only made the one League appearance for the club. He went out on loan to Swansea City in December 1995, and to Wigan Athletic in February 1996, but was released after his return from Wigan, immediately joining Cambridge United. He played over 60 games for the U’s, scoring twelve times. 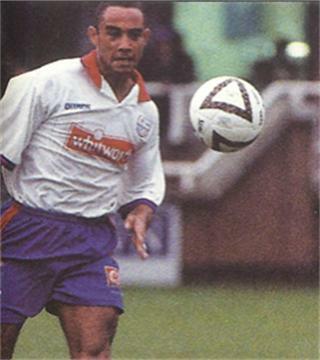 He was brought in by manager Brian Talbot on 30 October 1997 on a one month loan deal. Although he was largely anonymous in those games he played, he did score a hat-trick in the home game against Kidderminster Harriers midway through his loan period. Talbot decided not to extend his loan period, mainly due to the fact that he had an opportunity to bring in former Rangers striker Colin West. 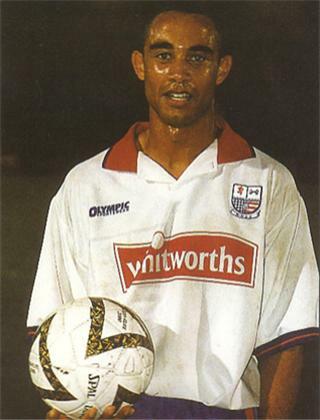 He joined Stevenage Borough in the summer of 1998, but decided to return to his native Hull in 1999 and played for several local sides including Doncaster Rovers, Goole, Scarborough, Hinckley United, Brigg Town, North Ferriby United and Denaby United. He became caretaker manager of Northern Counties Eastern League side Hall Road Rangers, but left in June 2004, only to return a couple of months later. He left in the summer of 2010 to join another Northern Counties League side, Scarborough Athletic, but returned to Hall Park Rangers during mid-October for another spell before signing for NCEL Premier side Selby Town on 16 December 2010, before retiring at the end of the season.